Gail launched her Body Language range today. 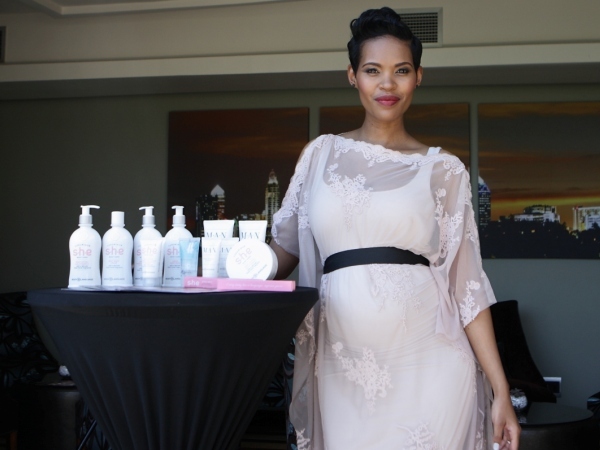 Actress and former L’Oreal ambassador Gail Mabalane launched her body care range called Body Language. We couldn’t help noticing how beautiful Gail looked with her baby bump! She mentioned how exciting it was being pregnant. 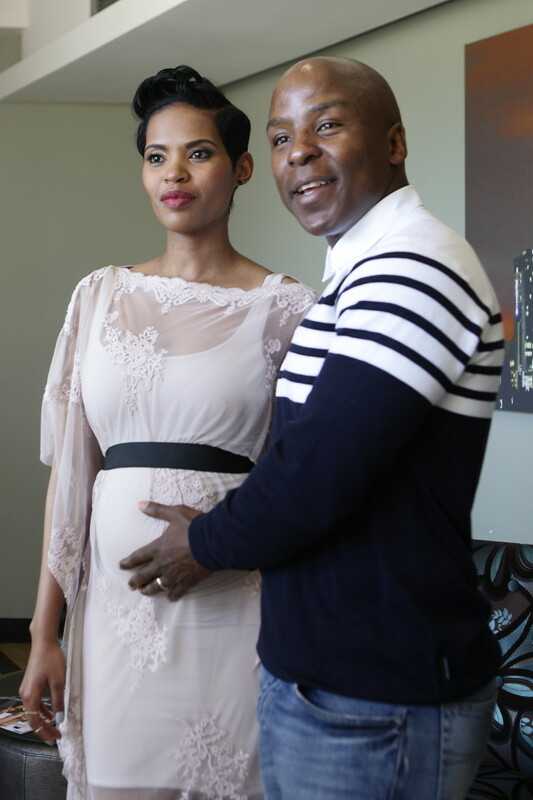 Expectant parents Gail and Kabelo. PHOTO: Sharon Seretlo. "I'm excited about adding to the family,I've always been big on family. This is number one, who knows I could have my own soccer, rugby or netball team in the future. I'm just excited, it has changed my body language and it will continue changing after the baby arrives. But I'm really excited." Her husband Kabelo Mabalane who was also there to lend support to his wife. He spoke to YOU about how he has a new dad app which has been a tremendous help and how he’s excited by the baby. “We’re really excited and I think it’s a natural progression for a married couple, you come together and you want to have mini you’s. We’re very excited, nervous but up for the challenge.” Kabelo said. The skincare range is for both girls and guys and will be available via direct selling. It is available in Johannesburg, Pretoria and Kimberly currently and nationwide starting in January 2015.